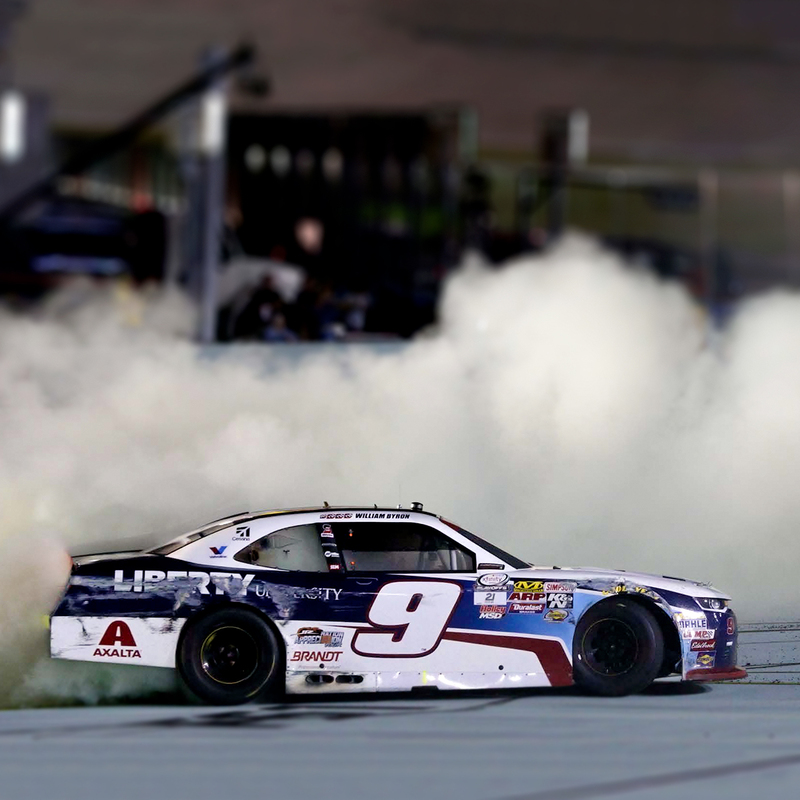 JR Motorsports driver William Byron pulled off a feat for the ages at Homestead-Miami Speedway, becoming the NASCAR XFINITY Series™ champion in his rookie season. In a back-and-forth battle with a teammate and fellow championship contender, Byron pulled away just under 30 laps to go in the series’ season finale. His No. 9 Liberty University Chevrolet Camaro finished the race in third position, and Byron took the title in the process. Lionel Racing is excited to offer the Raced Version of Byron’s championship-clinching car. Each of these No. 9 Liberty University die-cast feature all the dirt, scuffs and damage seen on Bryon’s car after the race. Don’t miss the replica die-cast that commemorates an incredible moment in the career of one of NASCAR’s® most promising drivers.